Product Consist : 1 Kg Butterscotch Cake with Assorted Fire crackers (Worth Rs.300/-) (Note: Types of Fire Cracker are depends upon their availability no specific choice). 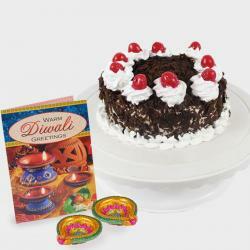 If you wish to delight your loved ones on special occasion of Diwali then here is a lovely gift set for you. 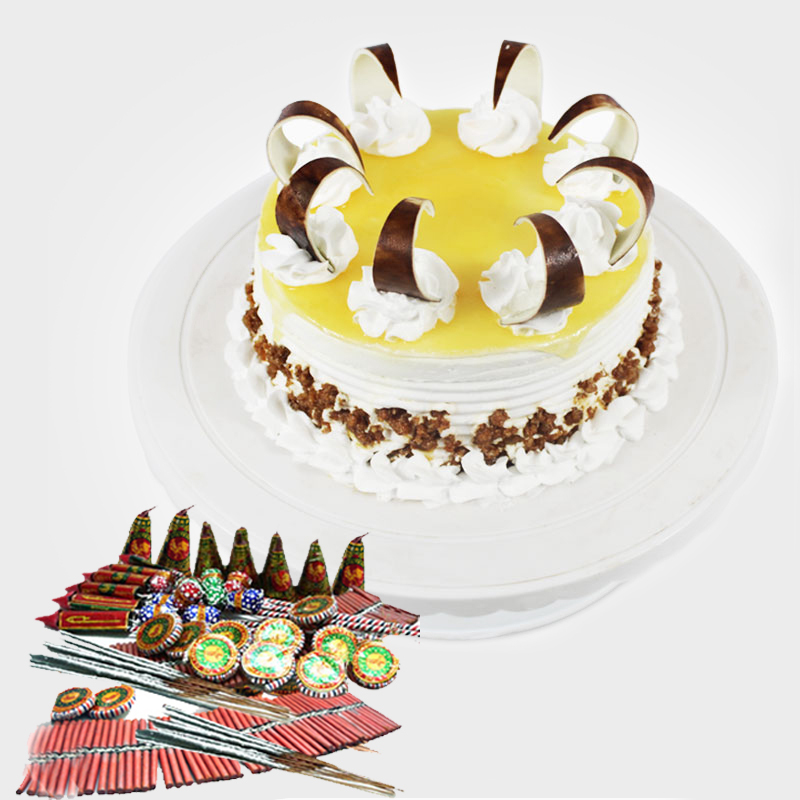 This is a marvelous gift combo comprising of a super delicious 1 kg Butterscotch cake in Round shape and a best quality fire crackers. 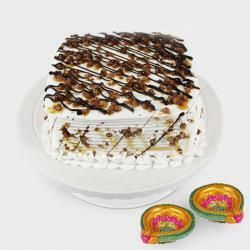 The cake is garnished with chocolate sauce butterscotch granules and vanilla frosting. 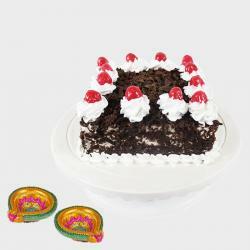 This exotic gift combo of cake and Fire crackers make for a perfect gift to delight your loved ones on Diwali. We are sure it will make them smile and give them life time of beautiful memories to cherish. Product Includes : 1 Kg Butterscotch Cake with Assorted Fire crackers (Worth Rs.300/-) (Note: Types of Fire Cracker are depends upon their availability no specific choice).